Updated 13/07/18. Please update as this fixes a critical issue!!! If using in an existing game, you will need to make sure you don't have unspent weakness points or you will NOT be able to lock in new powers and as far as I know you can't get rid of those unspent points. 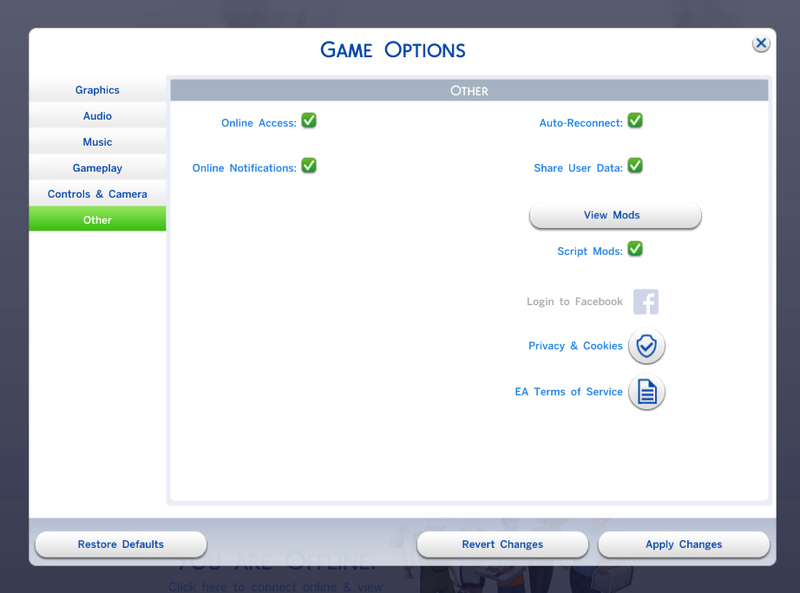 You then need to either use a draught of reconfiguration to remove the weaknesses (no weakness points should be refunded) OR use the 'sims.get_sim_id_by_name [firstname] [lastname]' cheat to get your sims ID and then use 'bucks.lock_all_perks_for_bucks_type 40962 <simID> false'. This is not a problem if starting a new game. 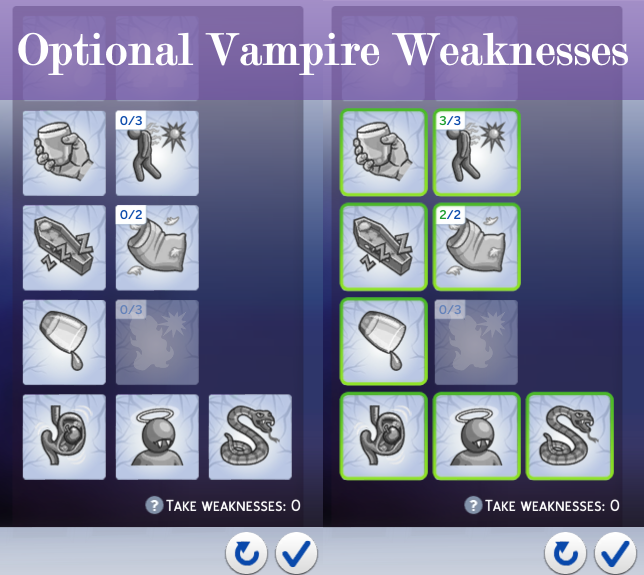 It always irked me how I couldn't play my vampire as all-powerful and was forced to pick a certain number of weaknesses despite how I wanted to play my vampire. This mod fixes that. 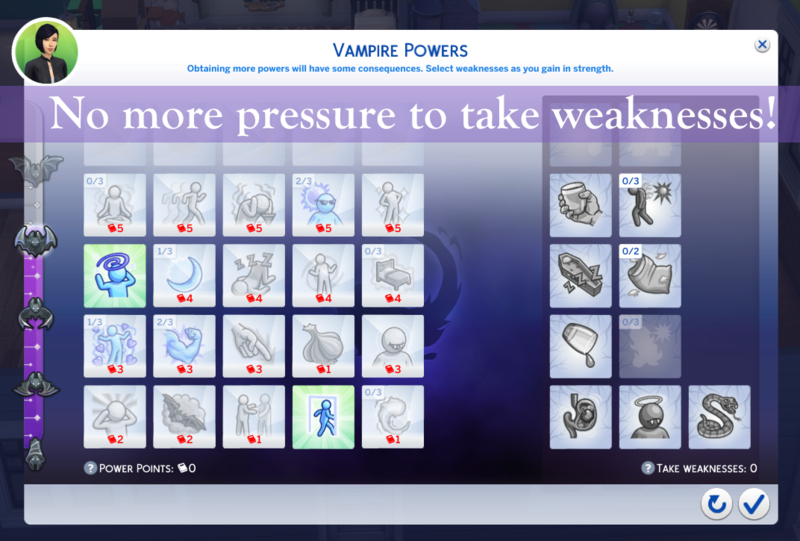 This mod allows you to pick as many or as little weaknesses as you want. You can take no weakness, 2 weaknesses, or ALL the weaknesses (as long as they don't conflict with the powers you've chosen). You still cannot pick weaknesses from a higher vampire tier e.g. take Eternal Sadness, a Grand Master tier vampire weakness, as a Fledgling Vampire. 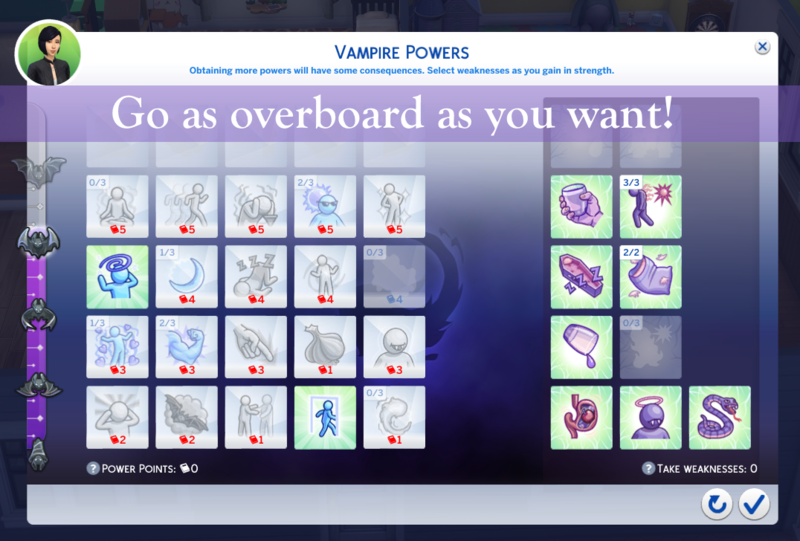 This mod, naturally, requires the Vampires game pack! This will be compatible with anything which doesn't alter vampire weaknesses or progression.